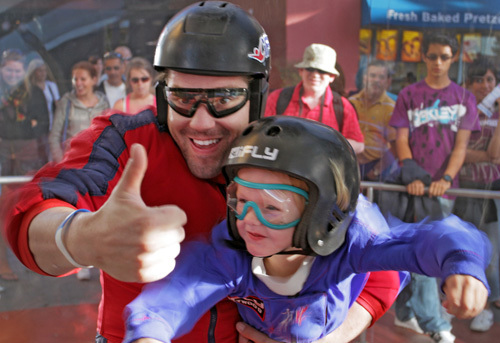 Located at Universal Citywalk® in Hollywood, iFly Hollywood offers an exciting indoor skydiving experience for guests ages 3 and up. The attraction features a vertical wind tunnel that lets guests fly on a column of wall-to-wall airflow that simulated a real-life skydiving free fall. 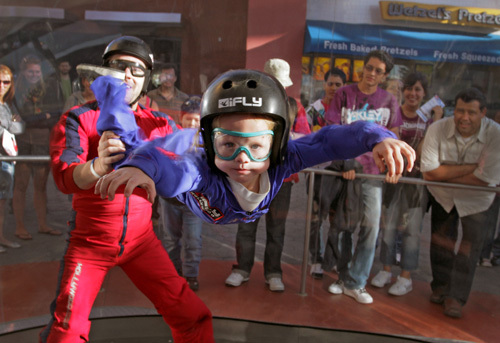 iFly Hollywood is safe for children, challenging for adults and realistic for experienced skydivers. Most experienced company for vertical wind tunnels. Training session, use of all the flight gear, your flight time in the tunnel, hands on personal assistance from your instructor and flight certificate included. Wear casual clothes and well fitted sneakers. Goggles and flight suit will be provided. Each flight lasts 60 seconds. Located in CityWalk at Universal Studios. Your flight instructor is with you through your entire flight experience. 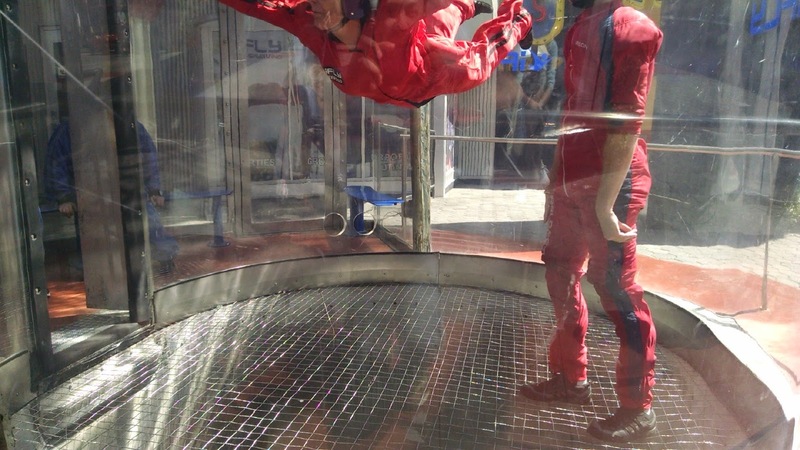 Excitement, adrenaline and adventure – iFly offers it all in the flight experience of a lifetime. Indoor Skydiving at iFly Hollywood is safe for kids, challenging for adults, exciting for teens and realistic for skydivers. No experience is necessary, great fun for all ages, three and up. iFly Hollywood gives you the flight experience of a lifetime at our attraction centrally located in City Walk at Universal Studios. Each of our flight packages includes not only your flight time, but also your pre-flight training and gear rental. We take ages 3 and up and all of our prices are the same for children and adults. Any flyers over 6' tall may not exceed 250 pounds and any flyers under 6' tall may not exceed 230 pounds. The entire process lasts roughly 90 minutes. We also recommend not flying if you have ever had a history of neck, back, or heart problems or if you have ever had a prior shoulder dislocation. Pregnant woman are not permitted to fly. Hours of operation vary based on season. A wind tunnel, in this case, a vertical wind tunnel, is the machine that produces the column of air you float on in the flight chamber. It has fans at the top with the purpose of drawing the air up past you. You experience a controlled environment providing you just the right amount of air flow for the utmost flight enjoyment. Each flight within the wind tunnel lasts for 60 seconds. When jumping out of an airplane, the free fall portion last approx. 45 seconds. If you reserve a package that contains 2 flights, you will have 2 turns in the wind tunnel with an instructor lasting 60 seconds each. The entire iFLY first-time flyer experience takes approximately 1 hour and 15 minutes from start to finish. Flyers can be as young as 3 years of age. There is no upper age limit. Children under 18 years of age need to have a parent or guardian sign their waiver. 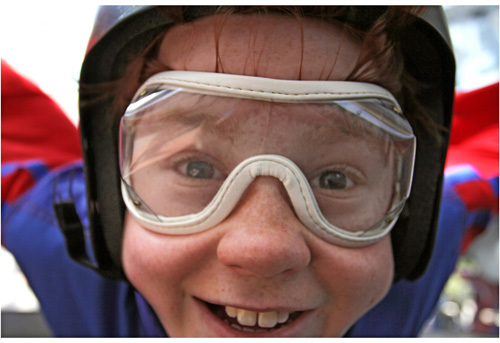 There’s no experience requirement, so beginners, intermediates and experts can all fly. All flyers must be in good health and physical condition. If you have had a prior shoulder dislocation or back or neck problems you should not fly. Pregnant women should not fly. Those less than 6 feet tall must weigh less than 230 pounds, and those over 6 feet must weigh less than 250 pounds. Our unique design with its wall-to-wall air column, along with our certified and highly-trained instructors, allows you to safely enjoy your flight session. Your flight instructor is with you through your entire flight experience regardless of your level of experience. Generally it is not considered scary; there is NO jumping or any sensation of falling. You simply float on a column of air. There is no sensation of falling or anything that would make you feel motion sickness. We generally fly with several people in each session. Your friends/family will be part of the same group however you will fly one at a time in the flight chamber one-on-one with your instructor. Once you have gained more flight experience then you will be able to fly with others of the same skill level in the tunnel. If someone chooses to come to watch, they are welcome to accompany you through your experience and can watch from the observation area. First-time flyers should arrive 60 minutes before the time you booked to fly. That gives you the time to check in, complete your waiver, attend the training session and change into your flight gear. Return flyers should arrive about 1/2 hour before your scheduled flight time. Can I do trick and flips in the tunnel? iFLY’s first concern is for your safety in the flight chamber so the tricks or flips are done by experienced flyers only. Some flyers are able to do turns, move up and down and front to back during their first flight. We offer all first-time flyers 2.5hrs of FREE valet parking at the Jurassic Parking Garage. We suggest that all our guests staying for no more than 2.5hrs take advantage of this amazing offer. Our experience takes about 1.5hrs to complete for up to15 flyers. *Please note, after 2.5hrs the max. flat rate of $30 will be charged. For General Parking, the rate is $16 and the daytime Preferred Parking is $22. We recommend, that our guests park in Curious George, the closest garage to iFLY Hollywood.